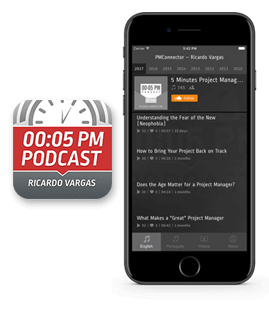 In this podcast, Ricardo talks about managing stakeholders' expectations. What is the importance of properly managing expectations? What is the relationship of them with the project's scope and risk management? In this podcast, Ricardo shares some ideas on coaching and comments about the coaching four dimensions or stages. He starts showing that coaching should be based on building trust in relationships within and outside the organization and not in the hierarchy itself. In this podcast, Ricardo concludes the series on megaprojects, talking about communication, teams and some success factors. He comments especially the importance of forming the core team of the project as soon as possible and to be careful on planning the outsourcing of some roles. In this podcast, Ricardo continues the series of three podcasts about the world of megaprojects. In this episode, he talks more about the concept of FEL (Front End Loading) and its great importance. In the next and final episode, Ricardo talk about teams, communications and how to engage the community in megaprojects. In this podcast, Ricardo starts a series of podcasts about the world of mega projects. What makes a project a megaproject? Ricardo talks about the characteristics, risks, and impacts of the failure or success of a megaproject. He also begins to introduce the concept of FEL (Front-end Loading), which will be discussed in the next podcasts. In this podcast, Ricardo throws the question: When success becomes a danger? When the project starts to work too well, success can go to your head? He talks about the consequences and give insights on how to prevent this from happening. In this podcast, Ricardo discusses the effects of Hurricane Sandy, that caused tremendous destruction on the east coast of the United States, from the point of view of Risk Management.